For the dressing, in a small bowl, whisk together vinegar, mustard, salt, pepper, sugar, and oil until smooth. Refrigerate to blend flavors. Whisk again just before serving. 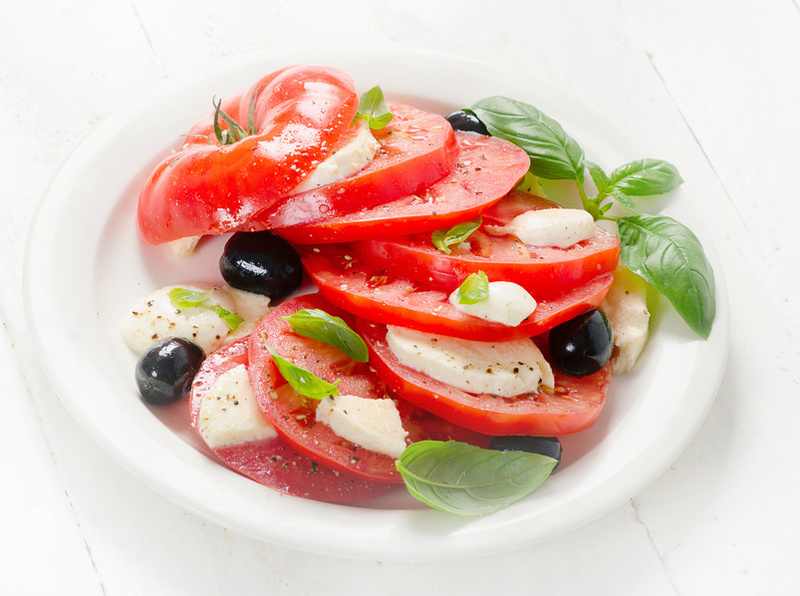 For the salad, alternate mozzarella slices, tomato slices, black olives, and basil leaves – slightly overlapping on serving plate.